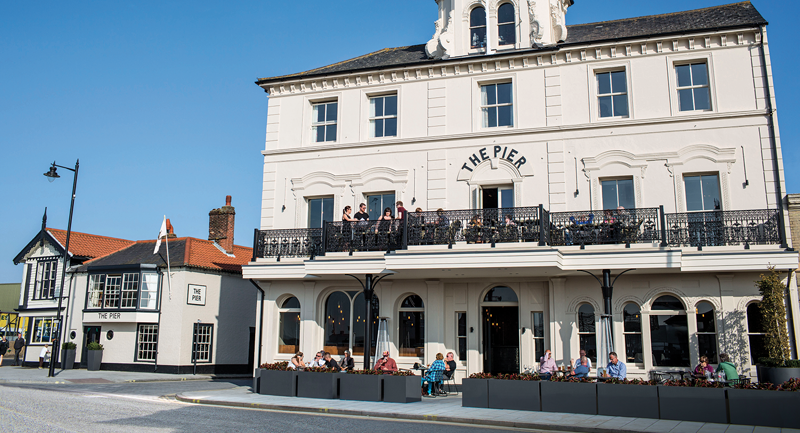 Following on from a substantial reinvestment last year, The Pier at Harwich is fast becoming East Anglia’s number one coastal destination for food and drink. The redefined brasserie is located on the first floor of the completely modernised 1860 listed building in historic Harwich. Experience all-day dining (all-year-round) and outdoor dining – whenever the sun shines – with a menu celebrating modern classics, an exciting grill menu and wonderful fresh fish and shellfish landed on The Pier’s doorstep. Guests can select from a predominantly European wine list or enjoy Prosecco-based cocktails, craft beers and cask ales. The stripped back and raw textured interior, designed by Geraldine Milsom, makes reference to the industrious and hardworking Harwich port, but achieves a balance between function, luxury and glamour. The harbour wall is only 20 metres from the door and The Pier’s first floor balcony (for drinks and outdoor dining) overlooks the water, ships and working docks. With estuary views from every table, The Pier, only a stone’s throw from the confluence of the Stour and Orwell estuaries is a very special destination for lovers of great food and drink. NAVYÄRD on the ground floor is a continental bar and terrace adjacent to the working harbour, the ideal place for fun and relaxation. Cask ales, craft beers, a great drinks list, Prosecco-based cocktails and one of the most carefully sourced and extensive gin lists makes the NAVYÄRD ‘the’ go-to bar for The Pier’s neighbours, friends and welcomed guests. 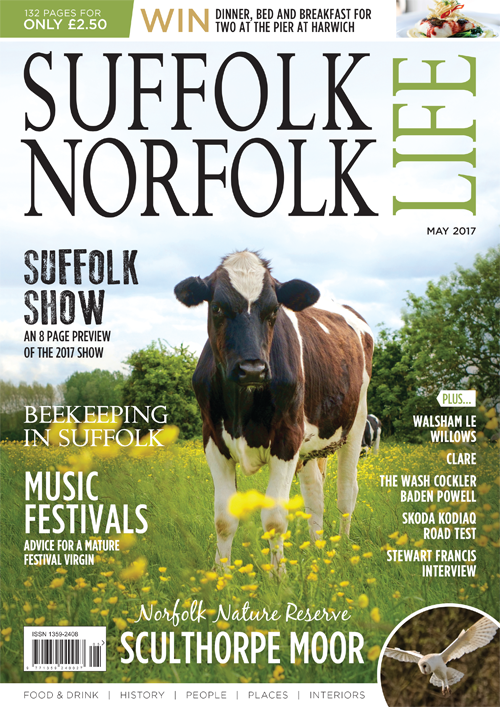 The NAVYÄRD is undeniably and unashamedly a ‘love letter to the continent’ – celebrating and championing the influential and historic links that Harwich holds with Scandanavia and wider Europe. The 14 bedrooms are individually styled to match the seascape and take full advantage of the brilliant light that you only get when staying on the coast. Harwich enjoys glorious sunsets with molten coloured horizons and the setting sun on the Stour estuary is a special feature of staying at The Pier. Win dinner, bed and breakfast for two people at The Pier at Harwich. The closing date for this competition is 30th June 2017.